Get creative for exciting prizes! Benihana dining is always playful fun with chef hats and balloons for little ones. 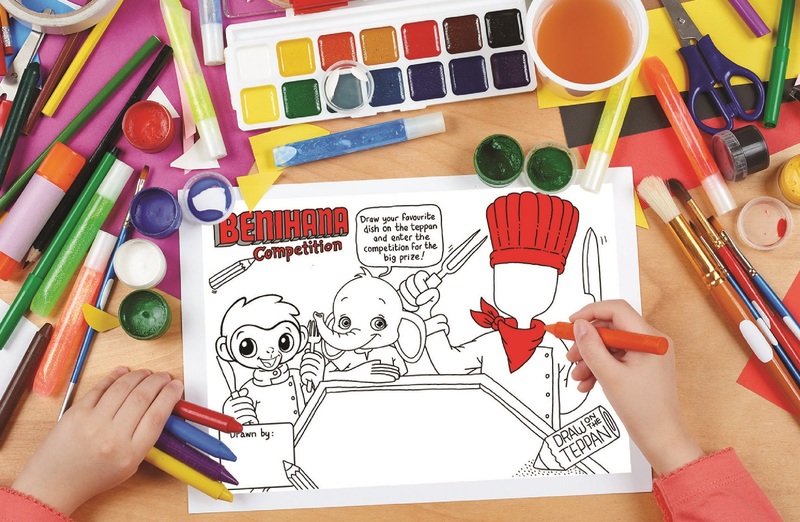 Now family ‘eatertainment’ is even more exciting with the Benihana Drawing Competition – open to all kids aged 12 years and under from now to 31 March 2017. Bring your youngsters to dine at Benihana restaurants at AVANI Atrium Bangkok, Anantara Riverside Bangkok or AVANI Pattaya. Let them draw and colour in our fun picture template. Then enter their work of art into the Benihana Drawing Competition for free, with three amazing prizes up for grabs! 1st prize – Birthday party for 10 guests at any of Benihana restaurant in Thailand. 2nd prize – Family room for a 2 night stay at Anantara Riverside, AVANI Pattaya or AVANI Atrium Bangkok. 3rd prize – Rocky’s Combo voucher for two at any Benihana in Thailand. Contact your local Benihana for more details.